Scope and Content Note: This is a photograph of a delivery of gifts for President John F. Kennedy. Presidential Assistant John J. 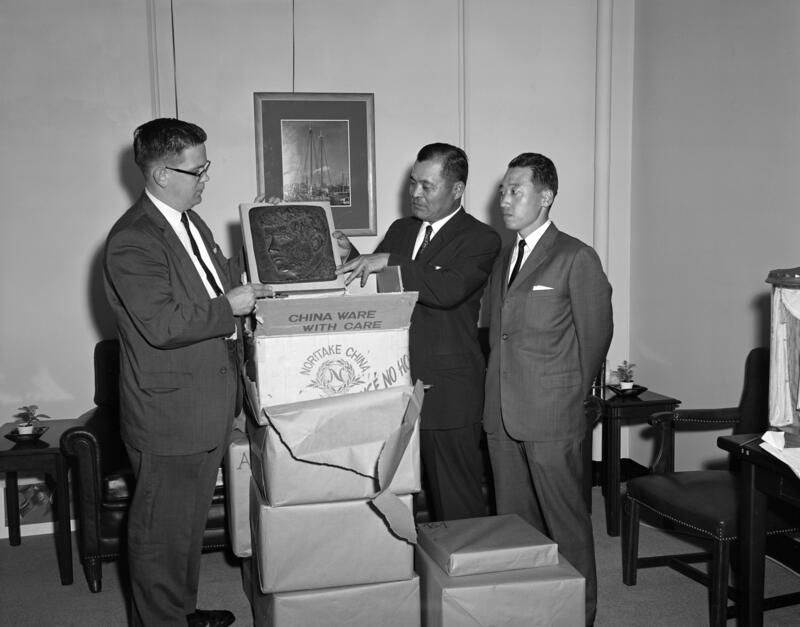 “Jack” McNally (on the left) and two unidentified Japanese men and a plaque with an engraving of President Kennedy, White House, Washington, D.C.